Reunion Island, a French territory, close to Mauritius, is an offbeat destination, known for its adventurous activities. Follow MIG TV for a trek to the active volcano. The Piton de la Fournaise is about 2,631m high and erupts around once every nine months. We will also explore the lavish nature of the island that is composed of three cirques, which are naturally-occurring circular valleys in the form of an amphitheatre: Salazie, Mafate and Cilaos. The cirques are composed of plenty of waterfalls where you can try aqua hiking activities. With its unique hilly landscapes, the Reunion Island has also plenty of spots for paragliding activities. 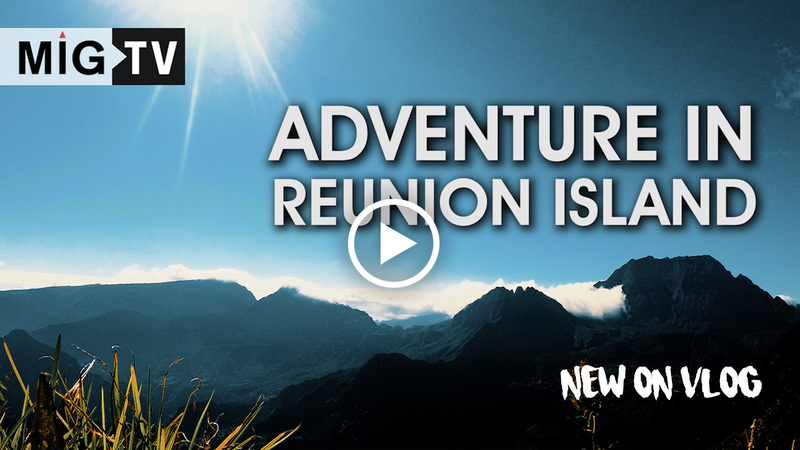 There is much more to see in Reunion Island. It’s not commercial and not crowded and definitely the right spot to awaken the adventurer in you.